Late-model used-yacht sales dominated the market in 2009, and many dealers believe this will remain the case through 2010 as value-conscious buyers continue to find deals. This isn&apos;t good news for new-boat sales, which aren&apos;t expected to substantially rebound for a while. A surplus of bank-owned boats has created potentially lucrative sales opportunities for dealers able to form solid working relationships with lenders anxious to move weak assets off the books. These boats also represent exceptional value for buyers, as do deeply discounted trade-ins and brokerage yachts. The high level of inventory in this sector has steered buyers away from new-boat purchases, but the clock is ticking, says Tod Riepe, general manager of Skipper Bud&apos;s, a dealership headquartered in Winthrop Harbor, Ill., with 22 locations throughout the Midwest. The current desirable late-model inventory won&apos;t last forever, he says. "The distressed inventory last year did have a [negative] impact on new-boat sales, but as we begin to see a decrease of distressed inventory levels, we&apos;ll see an increase in new-boat sales. This has already started to happen," Riepe says. Skipper Bud&apos;s is a dealership for Sea Ray, Four Winns Boats, Carver Yachts and six other boat brands. Its sales are split evenly between used and new boats. Riepe reports strong sales for the first quarter of 2010, in large part because buyers are finding the value they are looking for. "Our sales were up 35 percent over those for the same period in 2009," he says. "I think that trend will continue. Things are heading back in the right direction." Riepe credits the increase in sales to several factors. Fewer dealers remain in business in his market area, which has driven more potential buyers to Skipper Bud&apos;s, and buyers know the company is stable. "Dealers who have built a reputation for stability and long-term commitment to the industry and have aligned themselves with like manufacturers will pick up more market share," he says. Larry Russo, president and CEO of Russo Marine, a Sea Ray and Boston Whaler dealer in Medford, Mass., has seen a radical change among buyers since the last quarter of 2008, which he says "will live in infamy." Prior to the economic meltdown, new-boat sales comprised 75 percent of his business. As new-boat sales flagged, Russo began focusing on used boats early on, predicting a logical shift in buyer interest that would emphasize value and service more than in the past. "We took an aggressive position in the marketplace to promote our brands," Russo says. "Our strategy is to find creative opportunities to match prospects with products. Most of this activity has been with preowned boats. What&apos;s selling today is value." Russo says sales of bank-owned boats are a significant part of sales activity. Encouraging trade-ins and listings of brokerage boats has also enhanced his used inventory. Sales in the last six months have increased by 25 percent, he says, and 75 percent of that business is in used yachts. 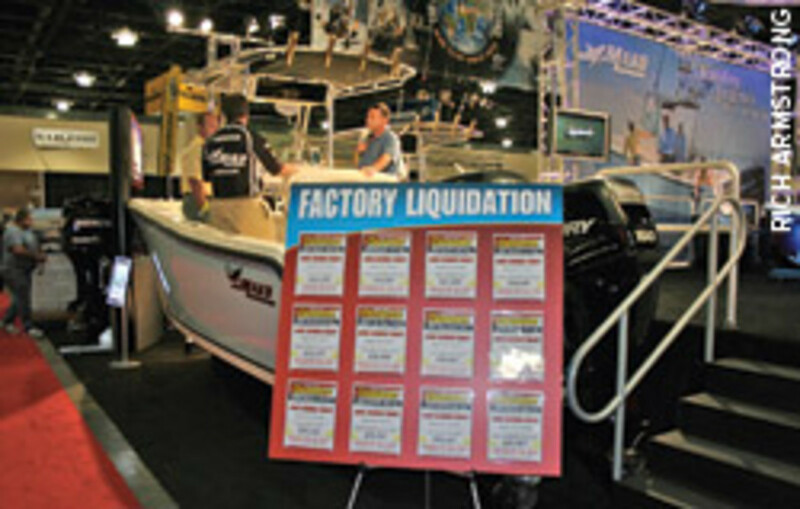 Within one year, Russo Marine&apos;s sales ratio between new and used boats flipped completely, which was driven by the dramatic change in buying patterns. "That&apos;s a remarkable shift in such a short time," he says. Unlike Riepe of Skipper Bud&apos;s, who reports a modest decrease in the inventory of late-model used boats in his area, Russo says the supply of these boats remains strong in New England. However, he shares Riepe&apos;s view that buyers will shift back to an emphasis on new boats when they can&apos;t find what they want in a used boat, chiefly the best price and value coupled with the newest possible late-model boat. "We&apos;re in the middle of the inventory of attractive preowned late-model boats. I&apos;d say we&apos;ve probably got about six to nine months left," he says. "But as people can&apos;t find these boats, they&apos;ll migrate back to buying new models. That&apos;s [probably] going to happen in the next six to 12 months. 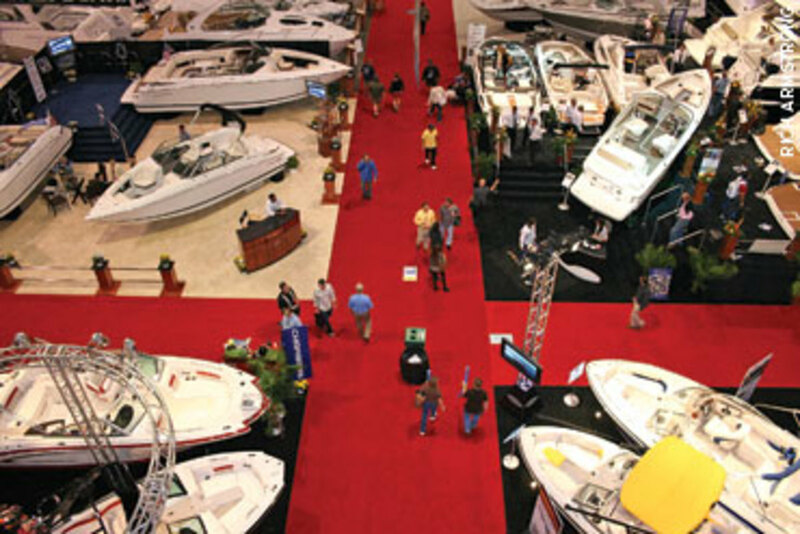 In 2011, I think we&apos;ll see a return to more normal new-boat sales activity." Darren Plymale notes another marked shift in the buyers he sees at the eight locations of Galati Yacht Sales, a dealer headquartered in Anna Maria, Fla., and specializing in Viking Yachts, Viking Sport Cruisers, Tiara Yachts and several other brands. 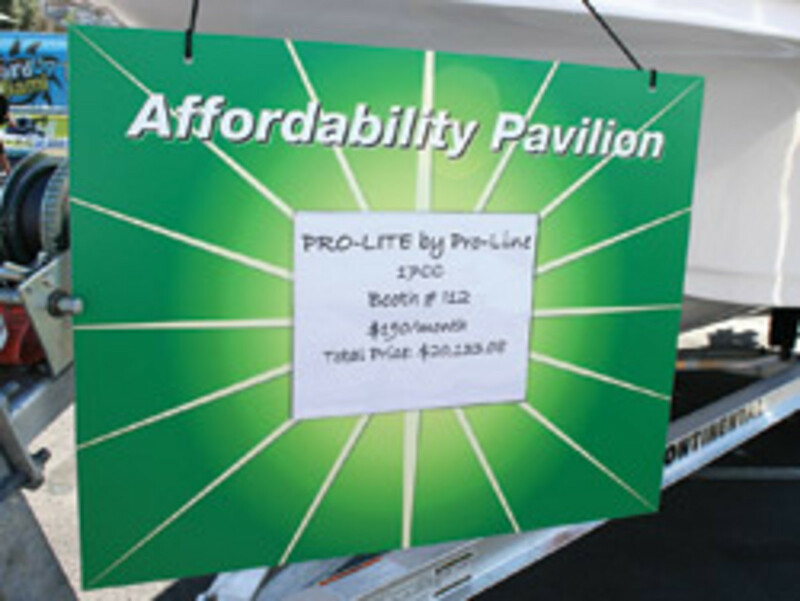 In the past, buyers typically exhibited strong brand loyalty, but now they often don&apos;t.
"When you&apos;re comparing the product that&apos;s available brand-for-brand versus equipment, features and benefits, the boat that provides more features and benefits is going to make the sale," Plymale says. "If the boat is more attractively priced, versus a particular brand, the boat that&apos;s well-equipped and provides the most features and benefits will win most of the time." Plymale says this is a relatively recent phenomenon. "For many years, customers went into the marketplace with a brand and equipment focus, but because of the values that are still out there the customer is more willing to look beyond brands to features and benefits, understanding they can get more for their money," he says. 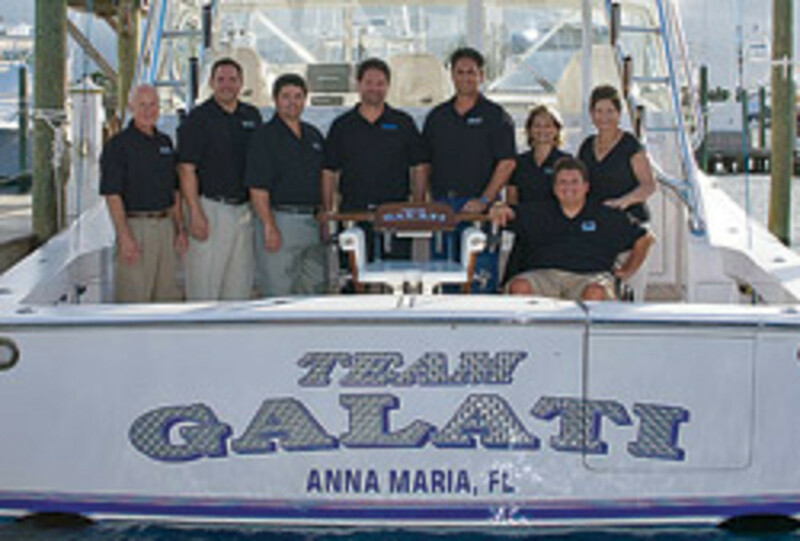 Galati Yacht Sales has seen an increase in business in recent months and 60 percent of the sales were from brokerage boats, a departure from the old norm. "For years, new-boat sales outnumbered our brokerage units and that&apos;s not the case today," Plymale says. "I believe this is a temporary situation. When the preowned inventory stabilizes, it will force the buyer back to new-boat opportunities." Galati actively courts international customers, who account for as much as 15 percent of sales. The buyers are primarily from Canada, and they&apos;re seeking "exceptional values," according to Plymale. Eastern Asia, Australia and parts of South America are also turning up value-conscious buyers. The story is a little different in California. "The buyers think the sky is falling," says Don Galey, president of Galey Marine, a dealer for Bayliner, Sea Ray and two other builders. The company is based in Bakersfield, Calif., and is a new-boat dealership. "They&apos;re not feeling any urgency to make a purchase and we&apos;re finding that the consumer is confused in terms of pricing," he says. "The price he or she sees at the dealership often varies from what some manufacturers price the boats at on the Internet, which doesn&apos;t account for the added expenses the dealer faces in the market. We&apos;re working very hard to educate the buyers that do come in." In other words, the buyer experiences sticker shock in the showroom. As the inventory of desirable late-model boats declines and buyers shift back to considering the purchase of a new boat, sticker shock among these potential buyers is likely to be a reality. "What&apos;s going to happen is when the customer sees that the exceptional value is no longer there in a preowned boat and they go to the dealership and see that the prices are higher than they&apos;re expecting, there&apos;s going to be sticker shock," Plymale says. "It&apos;s going to take some time for the consumer to rationalize that purchase." Credit continues to challenge dealers when some buyers are ready to make a purchase. Galey says he recently had a buyer with plenty of income and a credit score of more than 700, but the bank declined to lend. "The lack of available credit is making it very difficult for us," Galey says. Riepe agrees. "The ability to obtain retail financing continues to be a struggle and has slowed some of our progress," he says. "It&apos;s unclear as to what the retail lenders are going to do down the road, but we certainly hope to see them start lending more." Despite the shakeup in the industry since late 2008, Russo says he&apos;s optimistic about the future. He believes that the strongest dealerships will be positioned to grab a "much bigger piece of a smaller pie" as long as they identify and deliver what buyers really want. "We all have to adjust to the new normal," Russo says. "We&apos;re moving toward it, but I don&apos;t know what it&apos;s going to look like. The important thing is to be flexible."